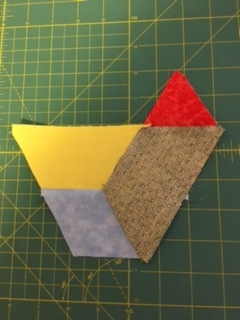 This is the presentation from Dawn Schaben’s February 2019 program on T-shirt quilts. How many t-shirts do I need to make a t-shirt quilt? These measurements include 1.5 inch sashing and 2 inch border with each t-shirt block being about 14.5 inches. Using cheap fabric and materials to make your quilt. What do I need to make a t-shirt quilt? Follow the manufacturers instructions for the fusing!! IMPORTANT!! Weight of stabilizer – don’t use a heavy stabilizer as it will add weight and take away the drape and the comfort feel of the quilt. 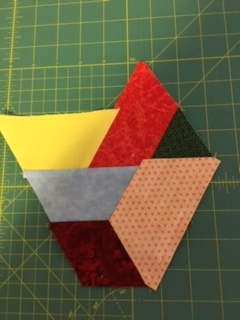 Benefits of stablizer – blocks that are easier to work with and give you a better finished product, especially during the quilting process. I personally recommend sashing as it gives the quilt stability and helps with the stretch issues that can occur when you sew t-shirt to t-shirt. Sashing can also provide an overall look that pulls together all the different colors in the t-shirts. Don’t have to use traditional blocks with sashing. Try something different. Who says that all the blocks have to be squares and rectangles? Take this T-shirt quilt idea for a spin, by piecing striped, checkered and zig-zag sashing to make your shirt blocks really pop! 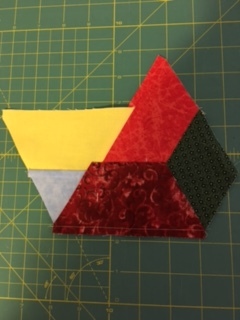 Here are the handouts for a class held in June 2018 on making a convergence quilt. Ice Dyeing is super easy. Betty Tyree taught the Starry Eyes a couple years ago. I’ve done it 3 times since her workshop. So, although I’m not an expert I can assure you it’s easy. I get all my information and supplies online from Dharma. The tutorials have complete supply lists and instructions. For fabric prep, I either use PFD (prepared for dyeing) cotton yardage or dyables as is, or I wash plain cotton in Blue Dawn dish detergent as Betty taught me. I don’t bother with the special textile detergent recommended by Dharma. I also use multiple soaks in Blue Dawn post-dyeing to get the excess dye out. The only exotic items are the Fiber Reactive dye powder and soda ash powder. Dharma sells dye in primary color sets, or you can buy any specific color(s) you like. I bought my Soda Ash from Dharma, but apparently this commonplace chemical is cheaper bought locally. Kitty bought for our recent play date at a pool supply company. Kristen buys it as “washing soda”. This process works best on plant fibers like cotton; the soda ash is for breaking down the cellulose in the fiber. It can degrade animal fibers like silk or wool. WEAR YOUR DUST MASK from the time when you open your dye powder till when you cover your container of ice+dye. Below are shots of my most recent results. — and got images of fabric on sale for $2.25 up. INSTRUCTION VIDEO: Missouri Quilt Co. 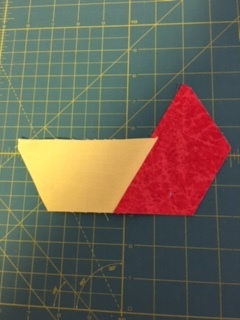 If not using charm packs or jelly rolls, cut 2 ½” strips of fabric. 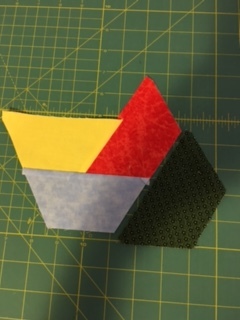 Cut out a stack of trapezoids using the template. Arrange and sew together to form braid. I construct two rows at once allowing chain stitching. Arrange two pieces right sides up. Flip over added piece and sew (1/4” seam). Open and iron. 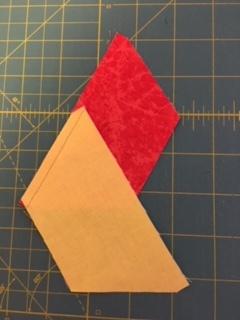 Continue adding pieces to desired length allowing enough length to square off top and bottom leaving ¼” seam allowance on each end. Thank you so much for helping with the charity kits that we call “Beach Balls” for short. 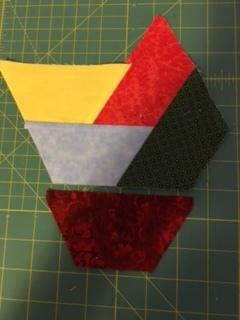 Use the link to Pellon’s Divide & Conquer free tutorial for help piecing the kits, but……… We have added a little extra. 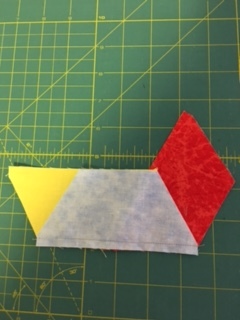 On the 4 1/2″ corner squares we have drawn two stitching lines. 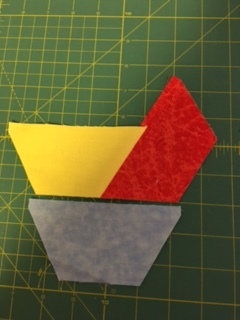 (This is where we get the triangles for the pinwheel quilts ) ******* you must place the shorter line towards the corner that will be trimmed off. Stitch on the drawn lines with 2.0mm or 2.5mm stitch length. 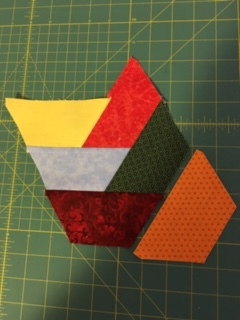 Quilt blocks that are leftover from a project or blocks that were test or practice blocks. Other names: leftovers, part of an UFO ,WlP, (3.1 (Good Intentions) or PhD(Project half Done), reject, false start , OOPS, re-do, “What was I thinking?” , and Treasures in Reserve.